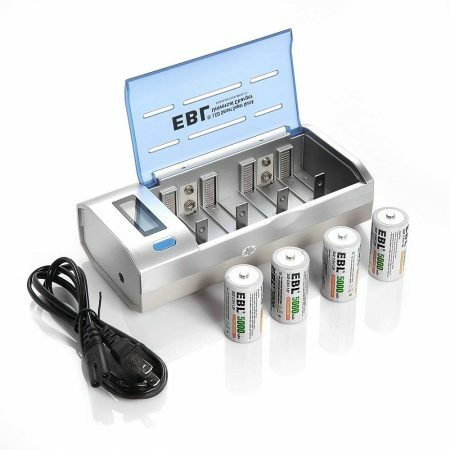 Safe Rechargeable AA Batteries with Low Self-Discharge for Your Household. 10 Pack EBL AA rechargeable batteries with different colors. 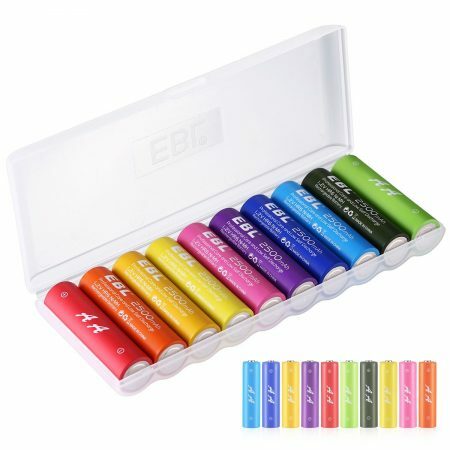 A brand-new, vivid design of colourful batteries: long lasting power with 2500mAh genuine capacity. 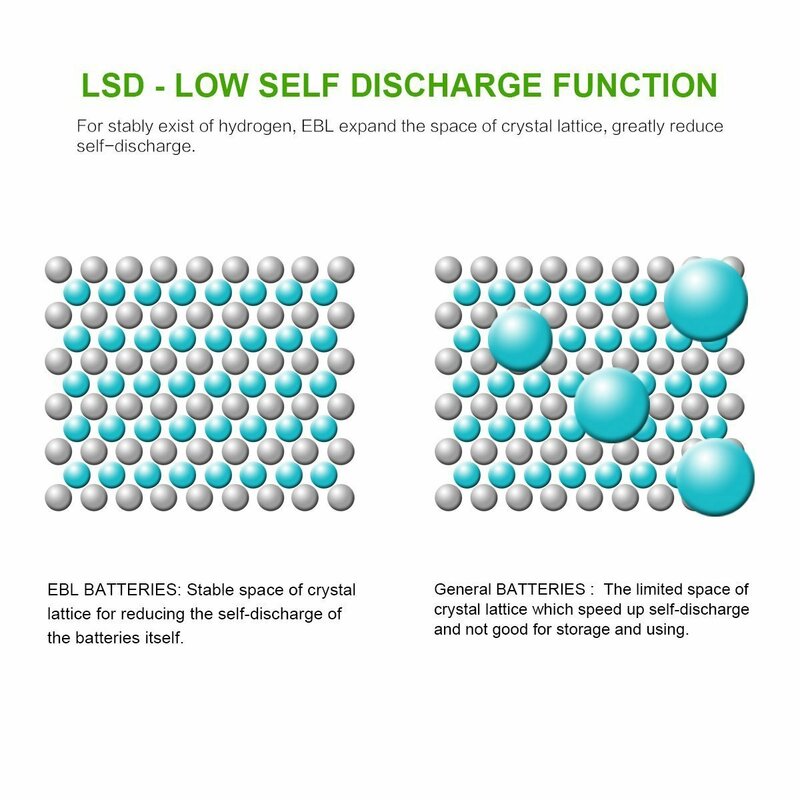 Low self-discharge batteries: sitting around unused for months or even years, the batteries will still be ready to work. 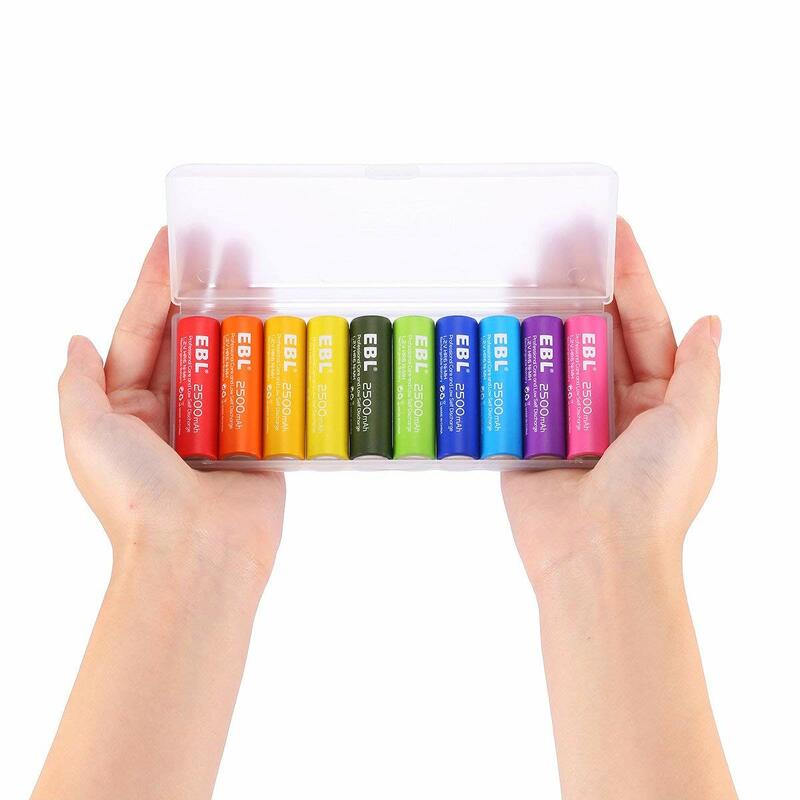 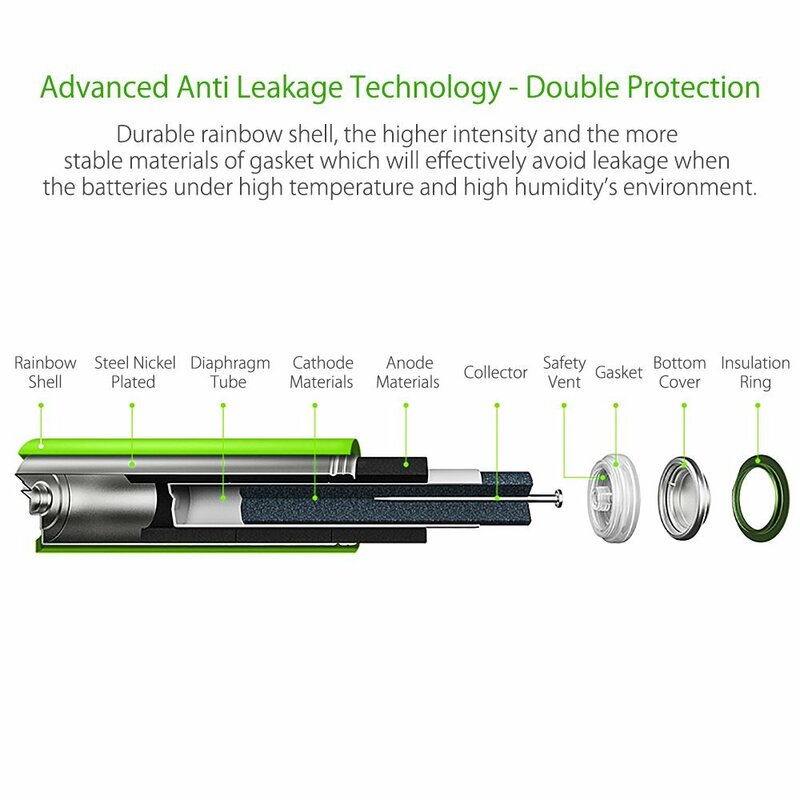 High rechargeability: 1200 times, the EBL rainbow batteries are more eco-friendly and economical compared with single-use alkaline cells. 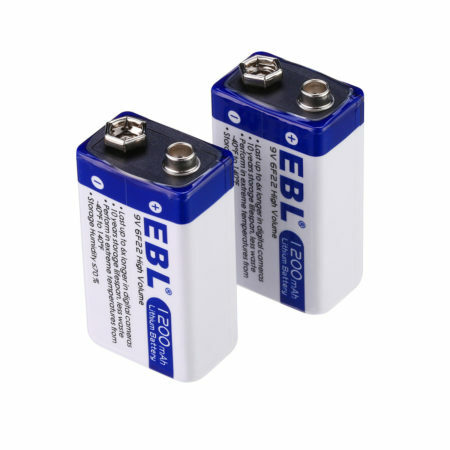 High performance rechargeable batteries: EBL AA batteries can be used for all AA compatible devices such as clock, romote controls, wireless mouse, toys,electronic scales and so on. 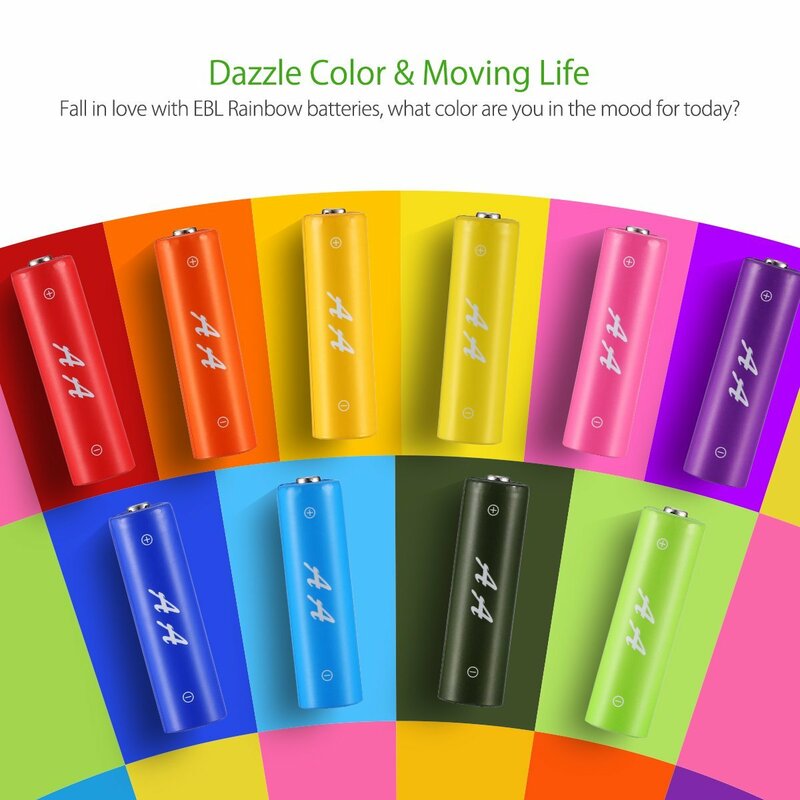 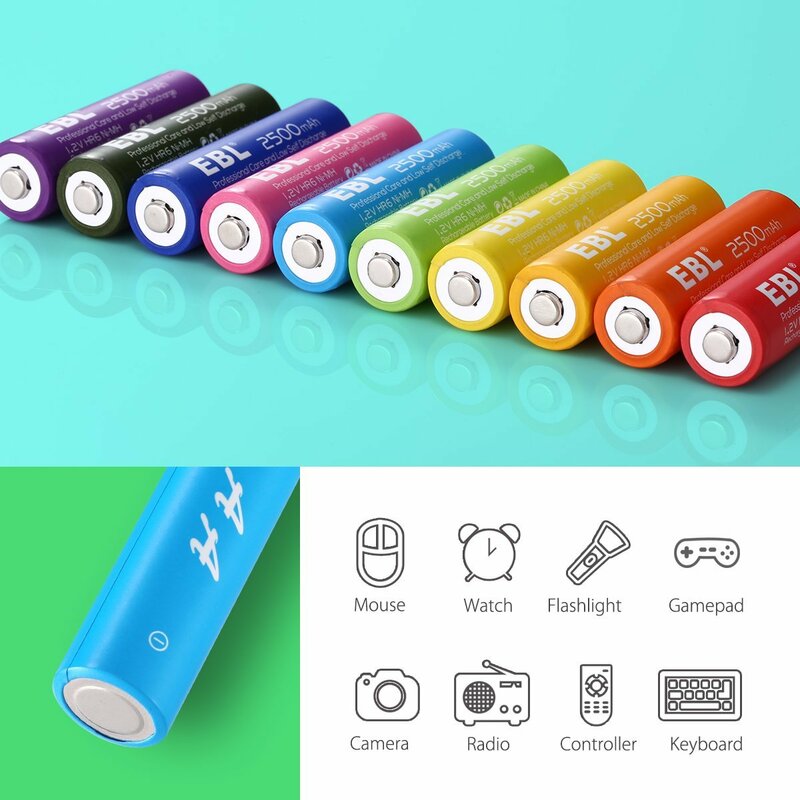 The rainbow 2500mAh rechargeable AA batteries of 10 different bright colours make your life wonderful and enable you to easily identify which ones are used and need recharging and which ones are unused. 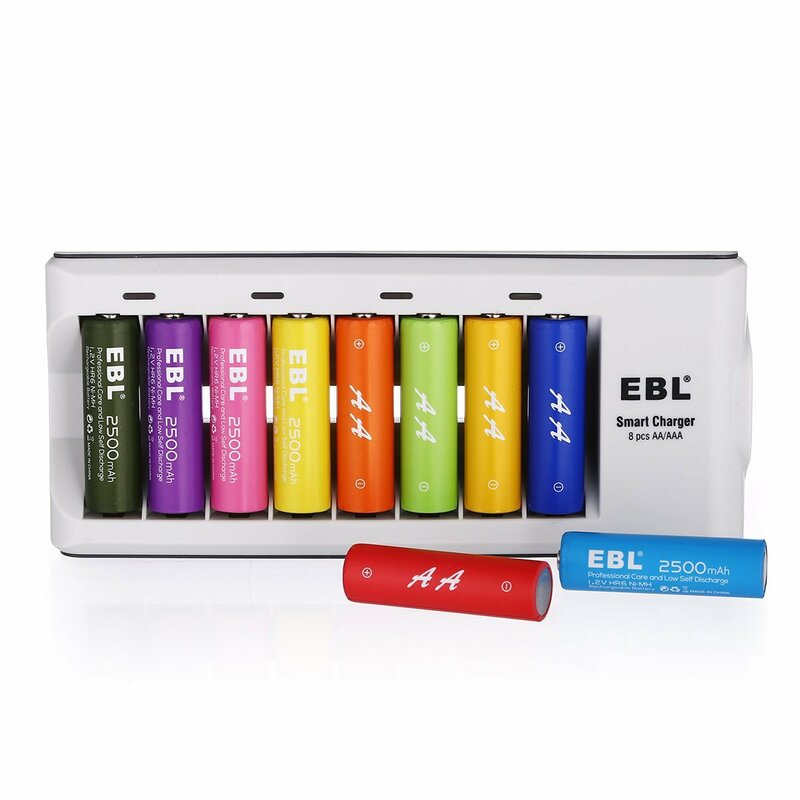 EBL 10 pack AA batteries are designed with 2500mAh high capacity for high battery power. 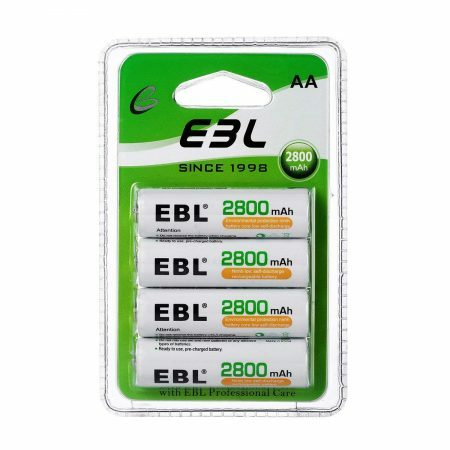 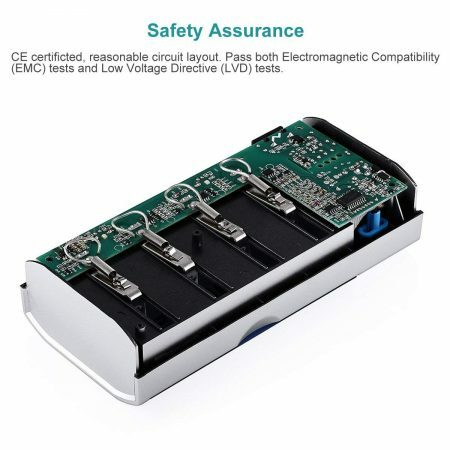 Thanks to the leading breakthroughs in developing new type of NiMH rechargeable batteries, EBL AA batteries enjoy prolonged battery life and incredible recharging times, up to 1200 times. 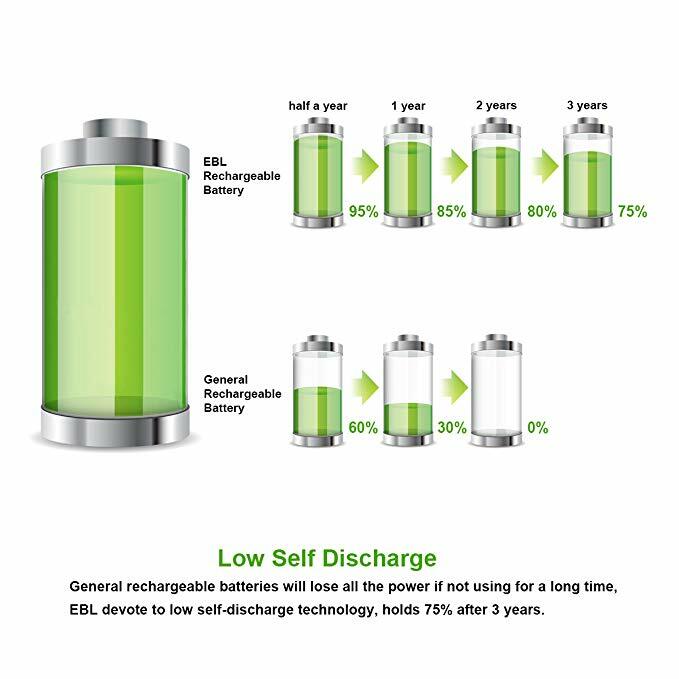 EBL AA batteries feature the latest low self discharge technology which enables batteries to successfully keep approximately 75% of the battery capacity even though they are not used for 3 years. 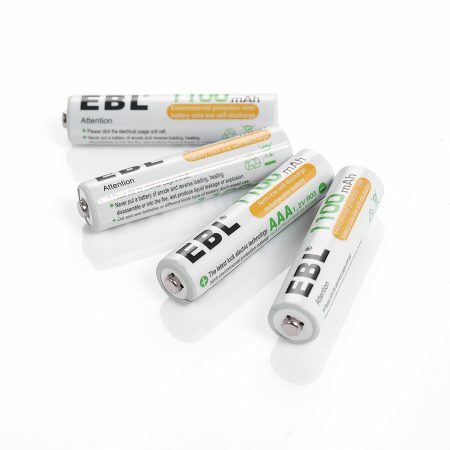 The AA NiMH batteries are made from highly environmentally friendly materials, which are fairly constructive to battery disposal and recycling.